How Does Ebay Protect Its Sellers? If you're considering using eBay, you might be wondering how eBay Seller Protection works. 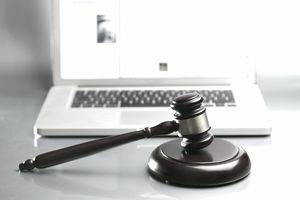 Because both buyers and sellers have reason to be wary of one another when disputes arise, eBay has taken steps to ensure that buyers and sellers that have performed in good faith are given a fair deal at the end of the transaction. How Does eBay Protect Sellers? Seller protection makes things easier for sellers in dispute or poor feedback cases. Low detailed seller rating scores may be discounted if the negative feedback in a protected sale is an isolated event, meaning that they won’t count against your seller performance status. Buyers in a protected sale that are warned or suspended near the time of the sale won’t be able to affect seller with feedback, DSR scores or disputes. Also, buyers in a protected sale that have typically left more negative feedback or lower DSR scores than average for other sellers will not count toward your feedback or DSR ratings. For certain protected items, eBay will automatically rule in your favor if you have shipped promptly using the eBay shipping payment system or can provide eBay with a tracking number showing prompt delivery. eBay will also automatically rule in your favor for certain protected items if the buyer claims that an item was received that doesn’t match your description if your listing gave clear and consistent details about the item’s condition. Any dispute of a protected sale won’t impact your seller performance rating if you resolve the dispute proactively and have your buyer withdraw the claim before it is escalated to a customer service representative. Disputes in protected sales that are resolved in your favor as a seller won’t count against your seller performance rating. eBay will hide and discount any negative feedback, detailed seller ratings or disputes that occur in protected sales as the result of “major events” outside your control—things like postal strikes or disruptive weather. How Can Ebay Sellers Proactively Protect Their Sales? To make the most of seller protection, it’s important to make these rules work for you. That said, avoid repeatedly making “risky” sales, such as those of AS-IS, gimmick or junk items, since eBay will only discount low DSRs if they occur in isolation. If you must list items of this kind, separate them over time and intersperse them with other sales to avoid repeat low scores (though you shouldn’t be knowingly selling anything that will generate low scores in the first place). Always ship as promptly as possible once PayPal says it's okay to do so using eBay’s own postage printing system, which will automatically go into eBay’s records and will automatically have a tracking number. Make your item descriptions and condition ratings clear and detailed, and provide multiple high-quality photos of the item to ensure that its condition is well represented. Give customers the benefit of the doubt in cases of disputes when you’re able to do so. Fix it before eBay has to fix it for you so that it won’t count against you, and be proactive about having buyers notify eBay of successful resolutions. Though none of these methods is foolproof or guarantees that you’ll win the dispute battle, over the long term you’re better off thinking of these as “best practices” that enable you to make the most of eBay’s protection for sellers. Some sellers may dismiss the program as inadequate, but smart ones know that putting your ducks in a row for automatic judgments in your favor can be a big business help.